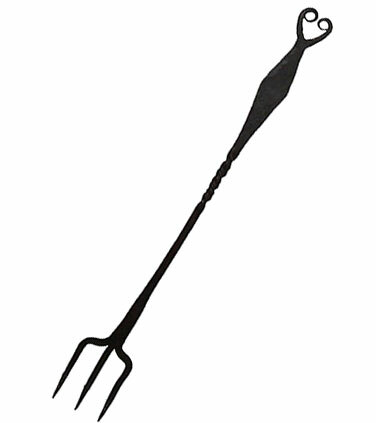 Presented here, a very exceptional 18th Century Toasting/Flesh Fork created by an advanced Blacksmith who "cared". It is stamped C. Smith on the back. Note the detailed forge welding of the tines and handle assembly. Hearth utensils were an important part of a Brides Dower Chest as they were necessary items used in cooking at the hearth, the "heart" of the home. Thus, they were often made to be given as wedding presents.